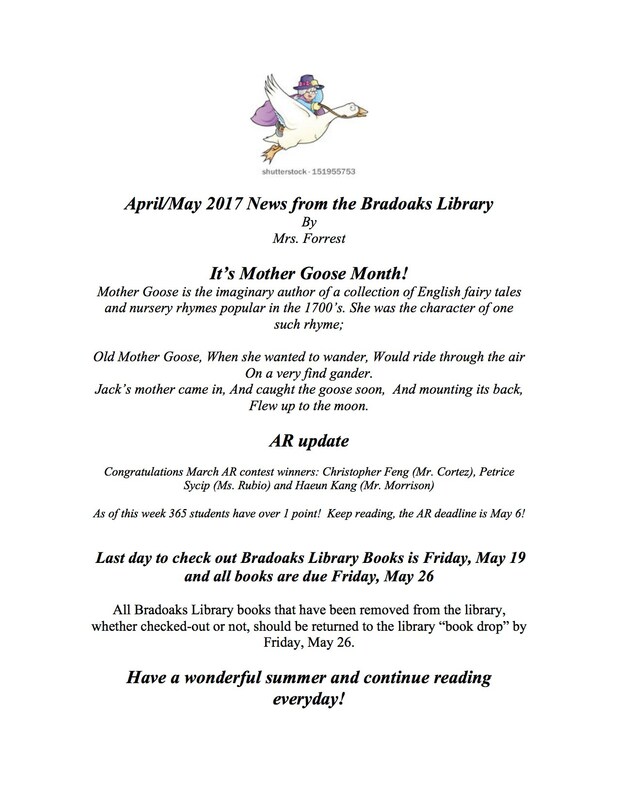 With help from The Wonder of Reading, a nonprofit organization, Bradoaks has a wonderful library! The purpose of our library is to inspire in children the love of reading. Our Reading Partners are an integral part of this. They are parents and community members who volunteer to read one-on-one with struggling students once a week. Please call 626-471-2100 for information about becoming a Reading Partner. Free! Live homework help! Click here! Monrovia Public Library Click here!